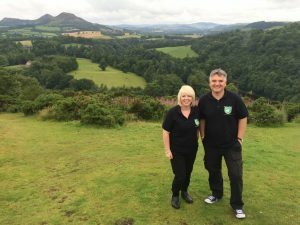 Are you visiting Scotland and want to see some of the best historic sites as well as incredible hidden gems or are you researching your genealogy and want help to walk in the footsteps of your ancestors? 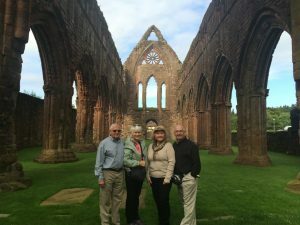 Ensuring that we provide a high quality service to guests visiting Scotland is something that is very important to Solway Tours and why we entered into the Visit Scotland Quality Assurance Scheme back in 2015. We were delighted to have recently received five star status again for a second year in a row for our guided historic and ancestral tours of Scotland. What are Solway Tours unique selling points? 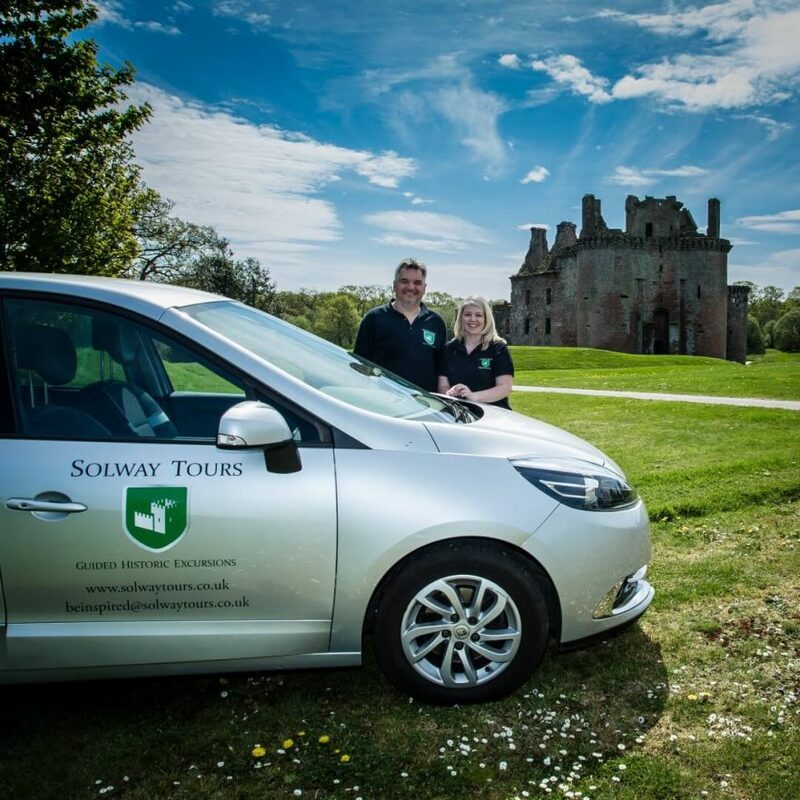 Both Lesley and Mark of Solway Tours were born and raised in Dumfries and Galloway. After both studying history at university they entered into a career in teaching history both finishing teaching In senior management positions. Lesley gained her history degree at Stirling University where her passion for Scottish medieval history was fuelled by studying in the lands where William Wallace had so bravely fought for Scotland’s Independence in 1297. Mark studied history and politics at Glasgow University and has become very fond of the historic city and the industrial impact that it has had on Scotland’s history. We are both passionate about the history of Scotland and sharing it with others. As former teachers, delivery of the history of Scotland comes naturally to us and where better to do that than standing on the battlesite or castle where the actual event took place. 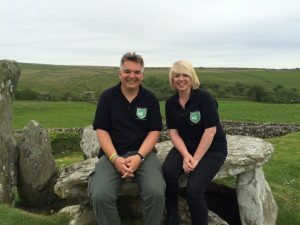 As teachers we both promoted the use of the outdoor classroom and now as the owners and guides of Solway Tours we help others to explore the history of Scotland and bring it to life. There are so many fantastic historic sites in Dumfries and Galloway and across Scotland. We offer bespoke guided historic and ancestral tours and we are never stuck for ideas on where to take people. We run our tours from our seven seater car therefore we always have the opportunity to go off the beaten track if desired and we pride ourselves on taking groups to some of the less well known sites across Scotland. 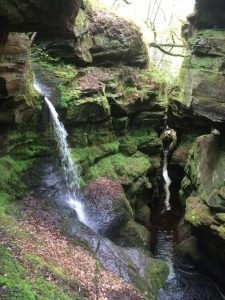 The picture below is Crichope Linn which is one of our favourite hidden gems within Dumfries and Galloway. All of the tours we run are personalised to fit our guests needs and we ensure that they make the most of their time here in Scotland. We offer a door to door service so can pick up guests from any hotel, airport, train station or even Cruise Terminal. We have had a number of guests this year that we have collected from Greenock Cruise Terminal. The picture below shows one family who were docked at Greenock for a day. They had ancestral roots in Dumfries and Galloway and we collected them as the ship docked, got them to many sites in Dumfries and Galloway connected to their ancestors and had them back at the ship by 5pm! 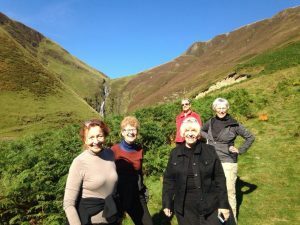 The bespoke nature of our tours allows us to have the flexibility to build an itinerary suited to each group so we can really ensure that people get to places that have maybe been on their bucket list for a while! Customer experience at the heart of everything we do! We love promoting the history of Scotland and taking guests to fantastic sites. We realise for some guests this will possibly be their only time in Scotland so we understand how important it is to ensure that this once in a lifetime trip is everything that they want it to be. We also understand that tracing your family roots can be a very emotional trip and we pride ourselves on ensuring that we complete all research and allow people to walk in the footsteps of their ancestors. What our guests have said about us! We have been delighted with the positive feedback we have received from guests who have toured with us. Below is just a few of the wonderful comments that we are delighted to have received. “Mark & Lesley are very professional, extremely knowledgeable and most personable.